The PD-6524/G/AC/M offers 24-ports with 200W total power. The PowerDsine 6500G family sets a new standard for highly secure, intelligent, remotely-managed and safe-to-use PoE. 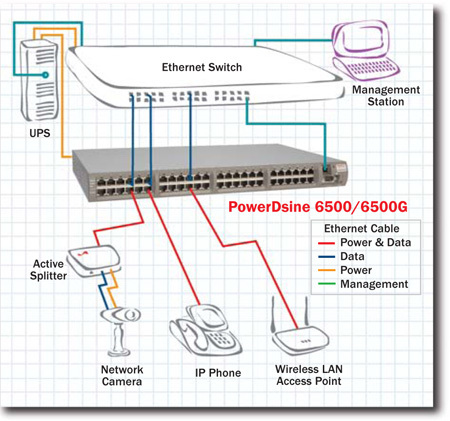 PowerDsine 6500G family includes 6, 12, and 24-port models.